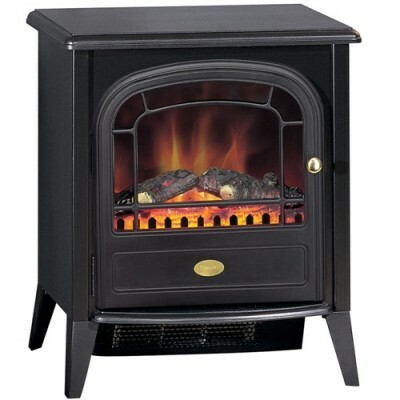 The Dimplex CLB20LED is a mid-sized cast-iron style electric stove fire designed to fit on a standard hearth. It has Dimplex's Optiflame log effect, with the illusion of dying embers, even when switched off, making it perfect for use all year round. There's a choice of heat settings, with the controls neatly concealed behind the opening door. Electric fires are very easy to use as there is little or no installation required, and because they run off electric all you need to do is simply plug in and go. There is no annual maintenance required as with gas and they are 100% efficient at point of use.